Showing up to a golf course only to discover that it has recently underdone an aerification process can be a jolt to the system. You were hoping the golf course, and especially its greens, would be in great shape. Instead you find it full of little holes or covered in sand or other topdressing. It's frustrating. And the golf course aerification process can be especially frustrating to golfers when they don't understand why it's done. So let's explain why aerification takes place, and what the actual process is. Or rather, let's let the Golf Course Superintendents Association of America explain. 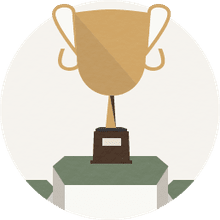 That's the organization for the men and women who take care of the grass and other elements of golf courses—the people who know best what goes into keeping golf courses in good shape and playable. And, yes, they are the folks who carry out the aerification process. Does showing up to a golf course that is in the midst of aerification guarantee a bad time or a bad score? "Maybe not," the GCSAA says. "Consider the fact that PGA Tour legend Tom Watson shot a sizzling record 58 at his then-home course, Kansas City Country Club, just days after the greens had been aerified. "Consider also that aerification is merely a short-term disruption that has long-term benefits for golf courses. When you see them, remember that without those little (aerification) holes, the greens would eventually die." "Preventative maintenance is an integral part of successful golf course management. 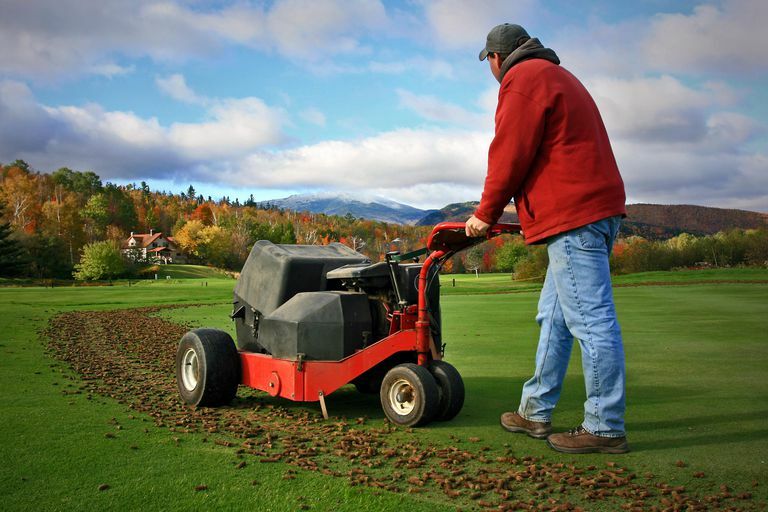 Golfers view aerification as an inconvenience that takes the greens out of play for a day, pulling cores from the greens and leaving holes that can affect putting for many days before healing. To add insult to injury, aerification is best done in many part of the country during mid-summer, at the height of the playing season and when most greens are in prime condition. But a golfer needs to understand how important aerification is to producing healthy turf." and it reduces or prevents the accumulation of excess thatch. "Good roots demand oxygen. In good soil, they get the oxygen from tiny pockets of air trapped between soil and sand particles. "Over time, the traffic from golfers' feet (as well as mowing equipment) tends to compact the soil under the putting green— particularly when the soil contains a lot of clay. When soil becomes compacted, the air pockets on which the roots depend are crushed, and the roots are essentially left gasping for air. Without oxygen, the grass plants become weaker and will eventually wither and die." "Aerification is a mechanical process that creates more air space in the soil and promotes deeper rooting, thus helping the grass plants stay healthy. In most cases, it's done by removing half-inch cores (those plugs you sometimes see near a green or in fairways) from the compacted soil, allowing for an infusion of air and water that brings a resurgence of growth. The spaces are then filled with sand "topdressing" that helps the soil retain air space and makes it easier for roots to grow downward. "Older greens often are constructed of soils with significant amounts of silt, clay and fine organic particles that are prone to compaction. Filling aerification holes with sand improves drainage and resists compaction. The periodic introduction of sand to a green's top layer can, over time, avoid or postpone expensive rebuilding or renovation of greens. "Finally, growing of turf adds to a layer of organic matter on the surface. This layer, called thatch, is an accumulation of dead stems, leaves and roots. A little organic matter makes for a resilient green, but too much invites diseases and insects. Topdressing with sand can prevent thatch buildup, and aerification is one of the best ways to reduce an existing layer and prevent an excess of thatch from becoming established. "Other aerification techniques use machines with "tines"; or knives that simply poke holes through the soil profile. A new technique even uses ultra high-pressure water that's injected through the soil profile to create small holes that relieve some compaction but heal quickly. "There are many types of aerifying machines with different attachments that address different problems in the various stages of the life of a green. So the next time you're ready to scream when the aerifiers are brought on the course, remember that a little preventative maintenance produces the best greens over the long haul." The bottom line, the GCSAA says, "is that aerification is a necessary practice. But before you curse the superintendent for ruining your day, just think of Tom Watson." It's All About the Grass, Man: What is Overseeding on Golf Courses?